Pardon the pun, but I marvel at the development team Capcom uses to optimize their handheld ports. 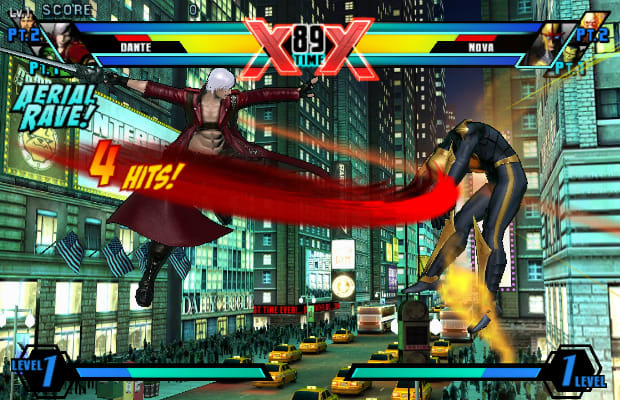 Their work on the Nintendo 3DS version of Street Fighter IV and its online play was remarkable and I’m already optimistic they’ll do the same with their Vita port of Ultimate Marvel Vs. Capcom 3. It’s always an honor to get 1-on-1 demos by Capcom’s Seth Killian as was the case with the two separate hands-on sessions I’ve had with this game. While there’s no substitute for experiencing a fighting game with arcade sticks, this Vita version does offer some inventive touch controls through taps and swipes. Not only did I get to see the silky 60 frames per second smoothness, I was also pleased to confirm that this will feature the complete Ultimate line up. It would be of little surprise to many fans of the fighting genre that this will support local and global multiplayer. Seth was noticeably coy when I asked about about additional multiplayer features, so perhaps additional announcements are in store.